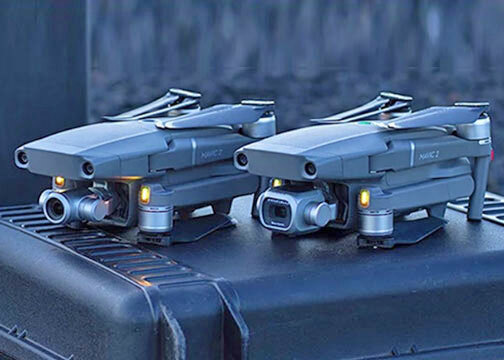 Los Angeles, CA—DJI added two camera drones to its Mavic series. The Mavic 2 Pro is the first drone with an integrated Hasselblad camera. 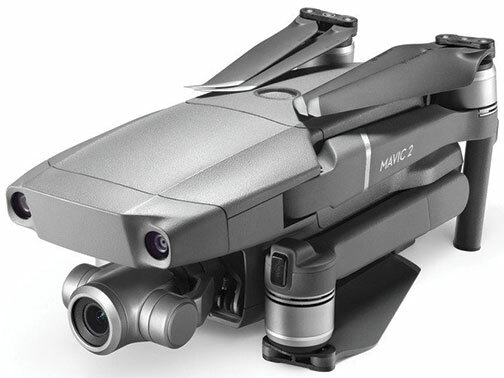 In addition, the Mavic 2 Zoom is a foldable consumer drone with optical zoom capability. The Mavic 2 is the most advanced DJI camera drone ever. 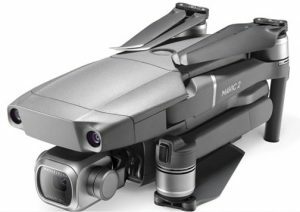 Marketed to professionals, aerial photographers and content creators, it incorporates the iconic folding design of the popular Mavic Pro. The Mavic 2 also features new gimbal-stabilized cameras and advanced intelligent features, like Hyperlapse and ActiveTrack technology. It additionally boasts an increased flight time of 31 minutes and a more stable video transmission system. In addition, a redesigned remote controller has detachable control sticks for ease of storage and portability. Engineered in partnership with Hasselblad, the Mavic 2 Pro is the first drone with an integrated Hasselblad camera. Housing a 1-inch CMOS sensor with a 10-bit Dlog-M color profile, the camera captures four times as many levels of color per channel compared to the Mavic Pro. Moreover, the Mavic 2 Pro captures 20 megapixel aerial shots with color accuracy based on Hasselblad’s Natural Color Solution (HNCS) technology. In addition, an adjustable aperture from f/2.8–11 provides more control across various lighting conditions. Also, with 4K 10-bit HDR support, the drone will play back footage with the right color tones when plugged into a 4K TV with HGL. Powered by a 1/2.3-inch CMOS sensor, the Mavic 2 Zoom is DJI’s first foldable consumer drone with zoom capabilities. Pilots can get closer to a subject by combining 2x optical zoom (24–48mm) with 2x digital zoom to simulate a 96mm telephoto lens that captures lossless video in full HD resolution. Furthermore, a hybrid autofocus system on the Mavic 2 Zoom combines phase and contrast detection for higher focus accuracy. It also offers a 40% faster focus speed than before. 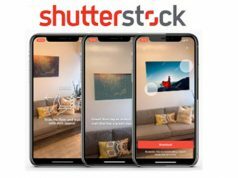 Videographers can shoot 12MP photos or take advantage of the drone’s new super resolution feature that uses optical zoom to automatically capture and stitch nine photos together. This results in a detailed 48MP image, ideal for landscape photography. In addition, exclusive to the Mavic 2 Zoom, the “new Dolly Zoom QuickShot mode opens a new visual language for storytelling that was previously reserved for professional cinematographers. It creates an otherworldly warped perspective by automatically zooming in as it flies away from its subject, keeping the subject the same size while the full background of the scene is revealed,” Luo added. Both new drone cameras capture 4K ultrahigh definition video. They record at a maximum bitrate of 100 megabits per second using the H.265 compression codec. This grants shooters greater latitude in postproduction workflows. In addition, new Enhanced High Dynamic Range technology blends a sequence of photos for ghost-free high dynamic range. As a result, the Mavic 2 Pro provides 14 stops of dynamic range and Mavic 2 Zoom up to 13 stops. • Free pilots the drone manually while shooting a hyperlapse video. • Circle automatically flies the drone in a circular pattern around a selected subject to create a time-lapse video. • Course lock keeps the camera fixed on shooting subject while the drone flies in a straight direction to create a unique perspective. • Waypoint plans a complex flight path based on altitude as well as GPS coordinates to capture complex shots. Furthermore, the Mavic 2 houses an upgraded three-axis mechanical gimbal to stabilize its camera even during high-speed motion. Photos and videos can be saved to the drone using its 8GB of onboard storage. Keeping a moving subject in the frame is also easier using ActiveTrack 2.0. This auto-track feature delivers DJI’s most advanced autonomous tracking and obstacle sensing. For the first time in a DJI drone, Mavic 2 has 10 sensors on all sides to automatically detect obstacles. Using the main camera and the front dual vision cameras, the Mavic 2 creates a 3D map of the area in front of it. The drone’s new trajectory algorithms analyze motion and predict the subject’s path up to three seconds in the future. When tracking a target, the Mavic 2 recognizes and avoids obstacles while shooting targets without interruption. It can stay on target, even if the subject momentarily goes behind an obstacle. It can also track the subject at higher speeds of 44 mph (a result of a more aerodynamic airframe that reduces drag by 19% over the Mavic Pro). Moreover, an improved Advanced Pilot Assistance System (APAS) allows the aircraft to analyze its surrounding environment and automatically fly around obstacles. Also, the Mavic 2 has a bottom auxiliary light that turns on automatically in low light. Plus, a new OcuSync 2.0 video transmission system enables a more stable connection between the drone and its remote controller. It has stronger interference resistance and auto-switching capabilities that support 2.4 GHz and 5.8 GHz frequency bands. The system also permits different frequencies for uplink and downlink data streams. It delivers 1080p transmission feeds at a distance up to 8km. This enables pilots to edit and upload Full HD footage directly from the video cache in the DJI app in a wider variety of situations. Original resolution JPEGs also can be saved to a mobile device. As a result, users can share them without transferring files from the drone. The Mavic 2 Pro, including the drone, battery, remote controller, charger and four pairs of propellers, retails for $1,449. The Mavic 2 Zoom kit, with the drone, battery, charger, remote controller and four pairs of propellers, is $1,249. DJI also offers a Fly More kit. It includes two additional batteries, a multi-battery charging hub, a car charger, a battery to power bank adapter, two pairs of propellers and a carrying bag. The Fly More kit sells for $319.